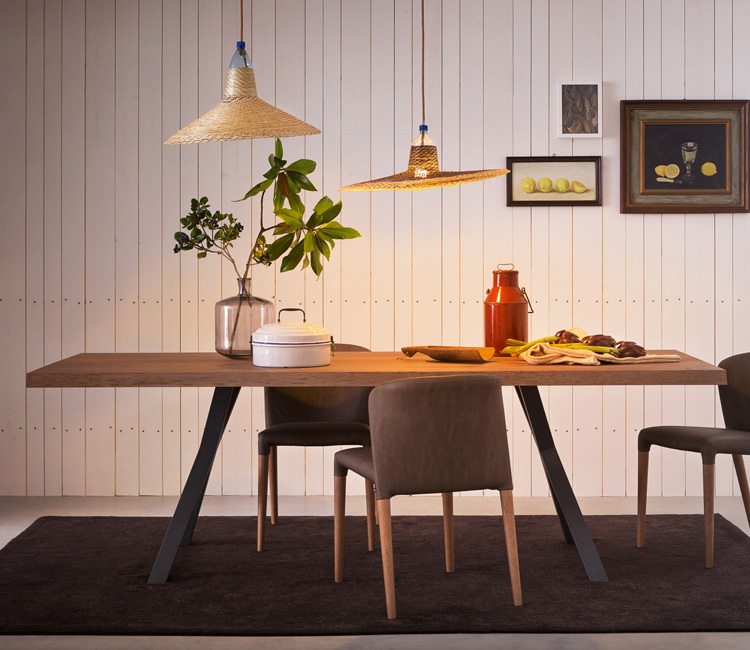 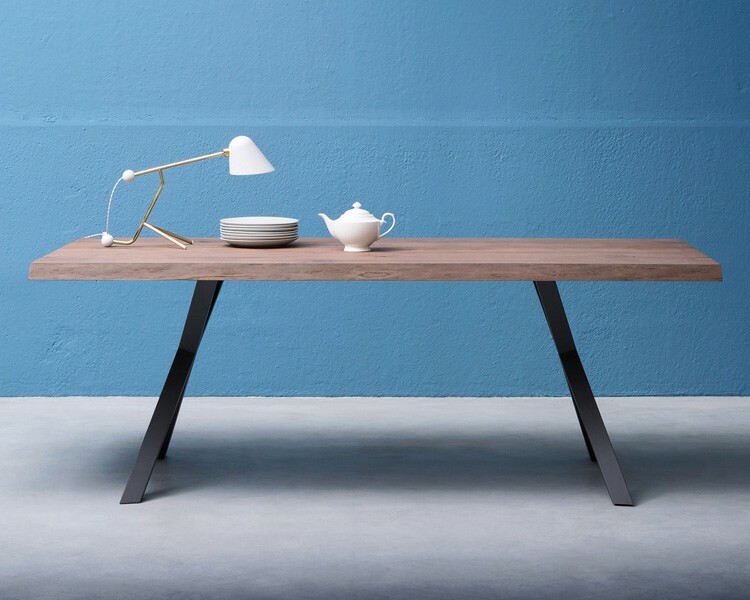 Board is a rectangular table with a metal structure and a wooden top, available in both fixed and extending versions. 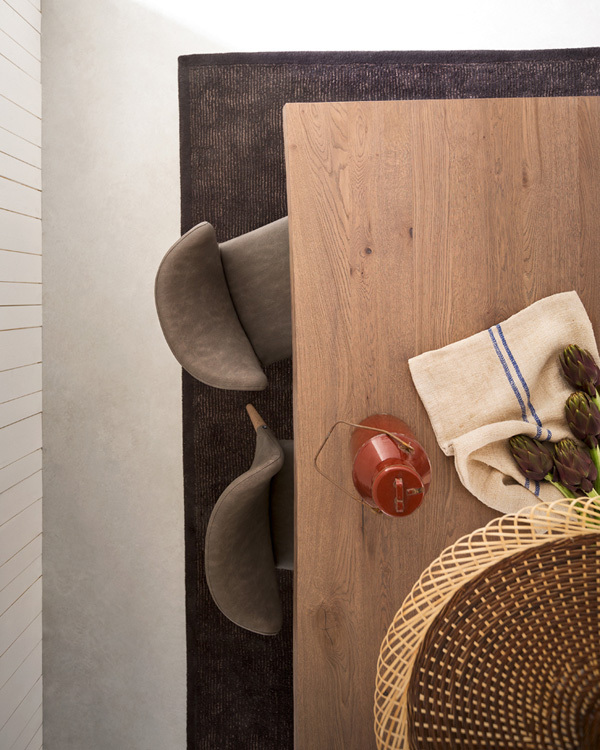 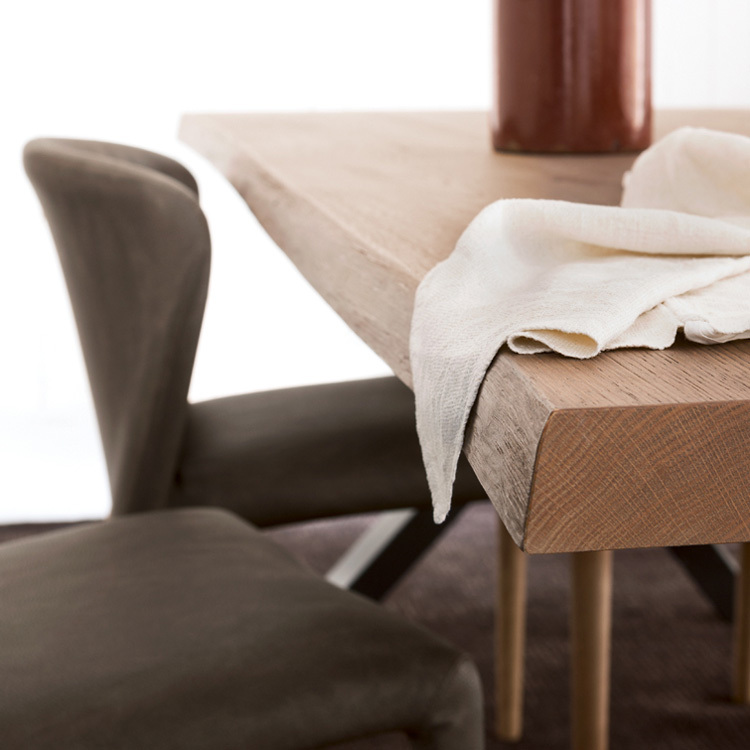 A geometrically shaped cat iron base finds the perfect partner in a knotted aged-look oak table top (various finishes are available) characterized by irregular-shaped edges. 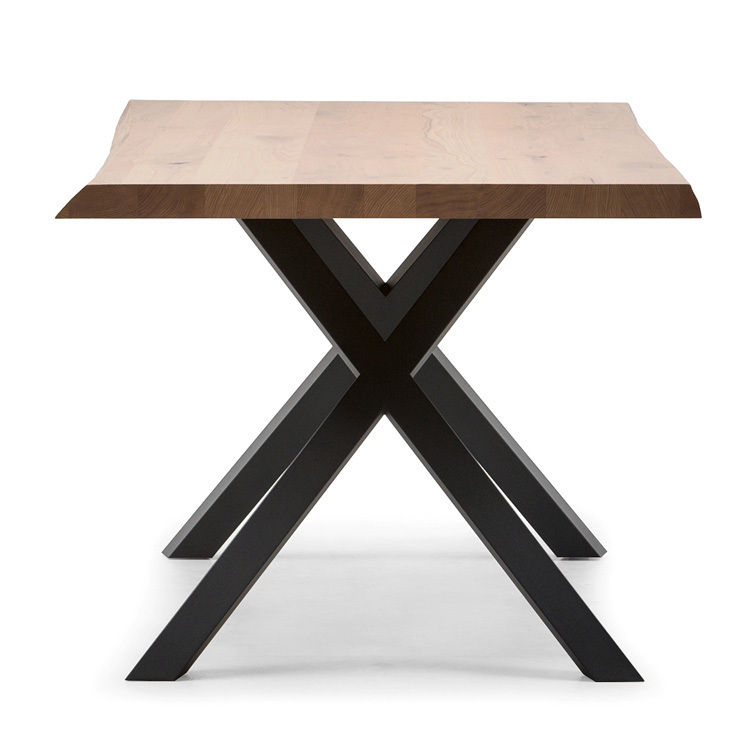 Due to the special shape of the table top the depth may vary slightly.